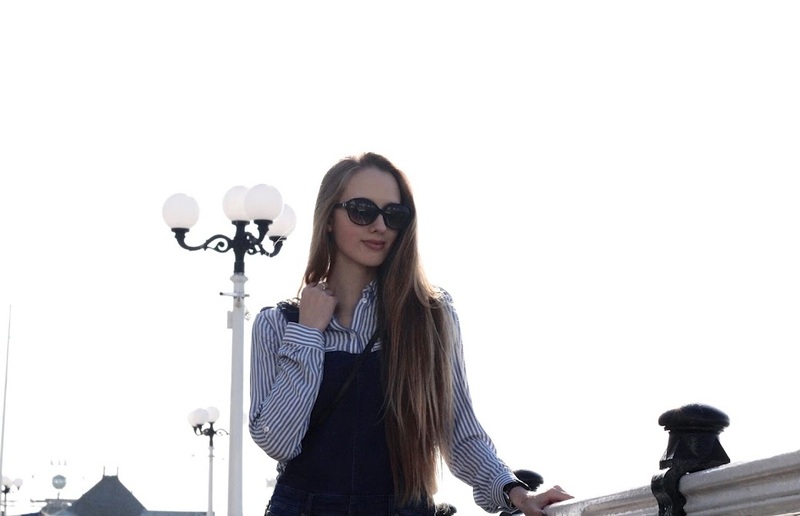 The beauty of denim dungarees undoubtedly lies in how versatile they are; roll-neck bodies worn underneath leather jackets on cold days, loose shirts when under the winter's sun and as little as you like during summer! Knee-high black boots definitely weren't my first choice for styling these dungarees, but despite the sun it was still too cold for anything else. Brrr. Anyway, whether you're looking to jump on the dungaree-bandwagon, or wanting to add more to your collection, below I've listed a ton of other fab options available right now across the web - browse to your heart's content! You look adorable (in the most sophisticated way ever!) in these dungarees. 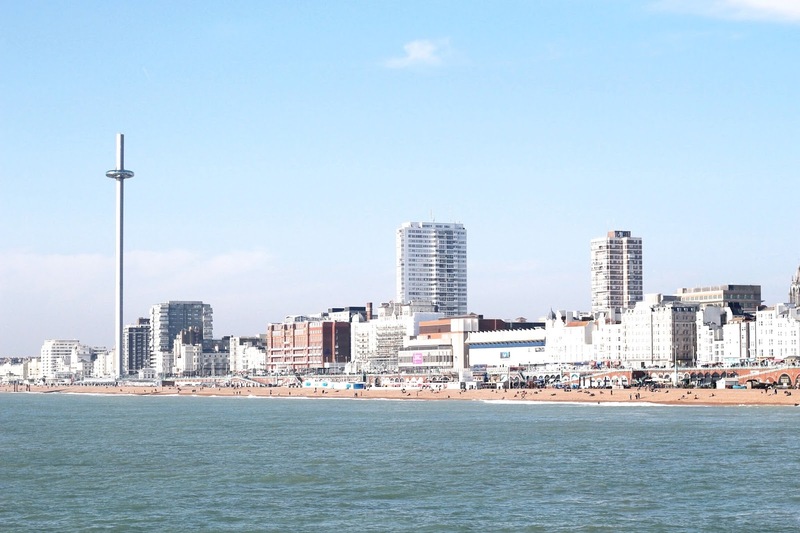 Brighton looks so much bigger than I expected, but it still retains a quaint aesthetic about it. These are so cute! Makes me want to get a pair now, I haven't worn dungarees (I've always known them as overalls haha) for a long time and they can be worn so fashionably now! I love how you paired it with a stripey dress shirt! I wish I could pull off dungarees like you! They are made for your long legs and slim frame :) I love how off-duty chic they look over this Warehouse blouse too! I haven't quite jumped on the overalls bandwagon for myself, and yet I always love how they look on other people. You styled them so well here! The tall boots add such a glam factor. I'm honestly the BIGGEST fan of dungarees, I always feel about 5 when I'm wearing them but they are just SO comfy and I love styling them! You look fab as always lady - they fit you perfectly! 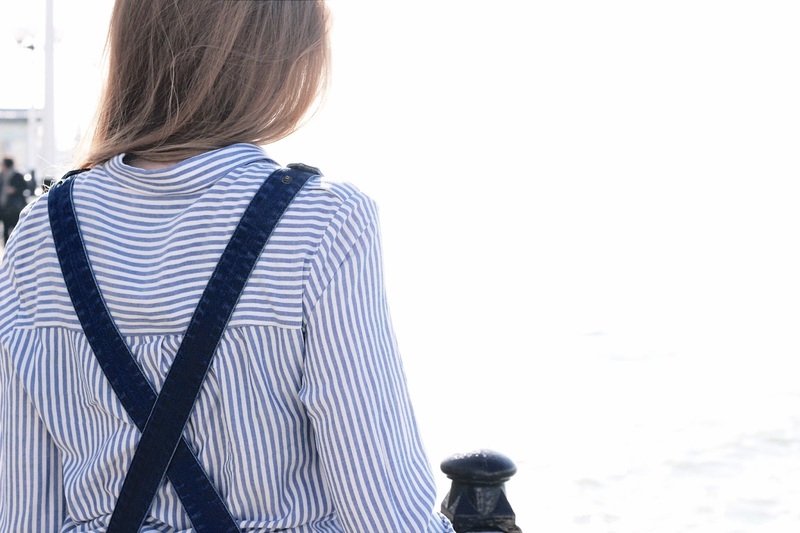 What beautiful pictures and love how you've styled the dungarees! You wear the denim dungaree so beautifully, Gabrielle. Do you find it inconvenient to go to the washroom? That's the only reason why I stay away from buying one for myself. 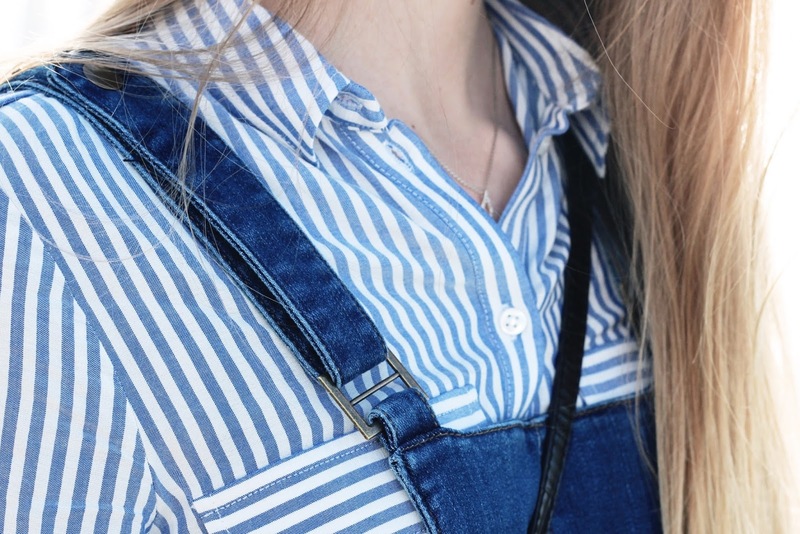 Yes, denim dungarees are so versatile to wear! And I couldn't agree more with that. :) I love how easy it is to style them. Btw, you look so gorgeous, Gabrielle! Hope to hear from you soon! You look so good in overalls!!! The sunnies are cute too. Love how you styled everything! Love that denim overalls, Gab! You look super cute! Thanks for the inspiration! 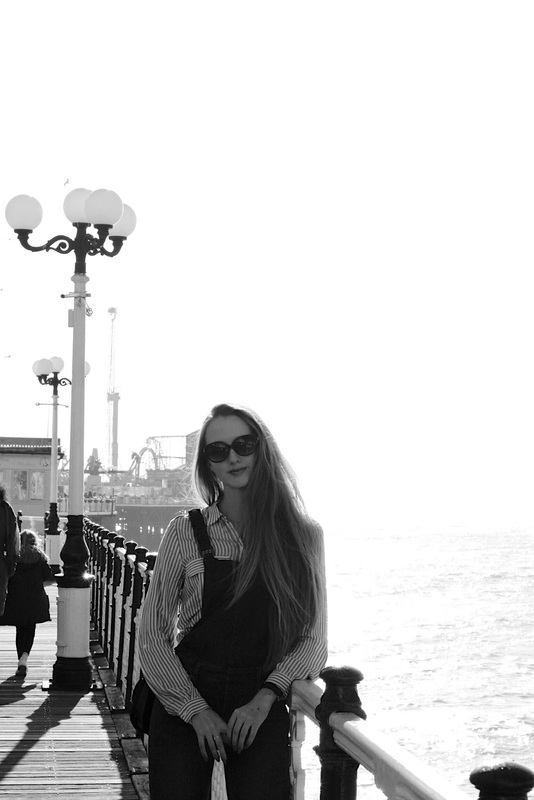 Brighton Pier is so gorgeous and I miss taking weekend trips out to the sea so much!! I love your dungarees! Ohhhh I never knew these were called dungarees! Of course you pull them off perfectly and I love them with the boots! 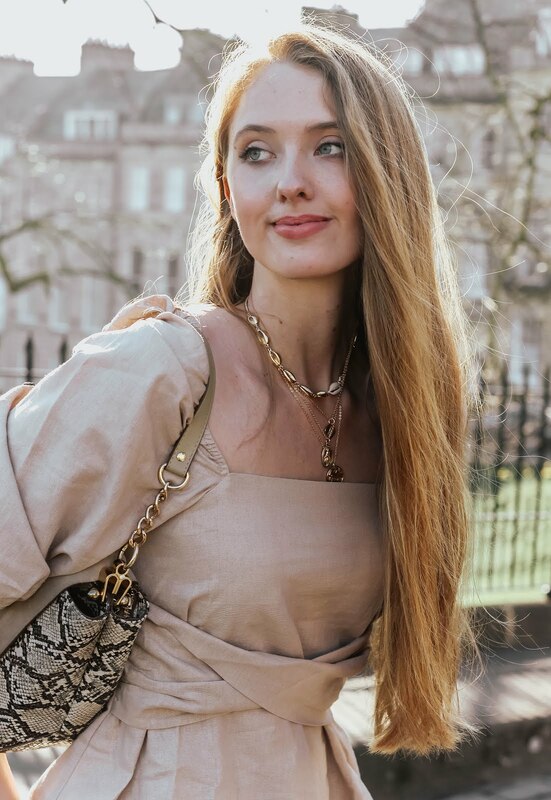 There is a very casual vibe to dungarees that I always liked, but at the same they are very versatile- as you said, there are so many ways in which they can be styled. Plus, they were a thing in the nineties. I remember how much I enjoyed wearing them as a kid and later on as a teenager. I found a perfect pair a few years back but I lost them when I forgot one of my suitcases while switching buses. You reminded me that I need a new pair. What a dreamy location! It looks so peaceful there. That white dock looks very inviting. I can never get tired of the sea, I love it so much. Brighton Pear looks like a wonderful place. You've got the perfect figure to wear dungarees and this pair looks amazing on you. I love how you styled them with this striped shirt. I actually think those black boots were a nice touch- even if you wore them for comfort not style. They're not the first thing one would think of wearing with dungarees, but you made it work. You look fantastic. So pretty as always! The location is beautiful! This outfit is soo cute! I love it! These look great on you and Brighton works perfectly as a backdrop. I haven't worn dungarees in years! 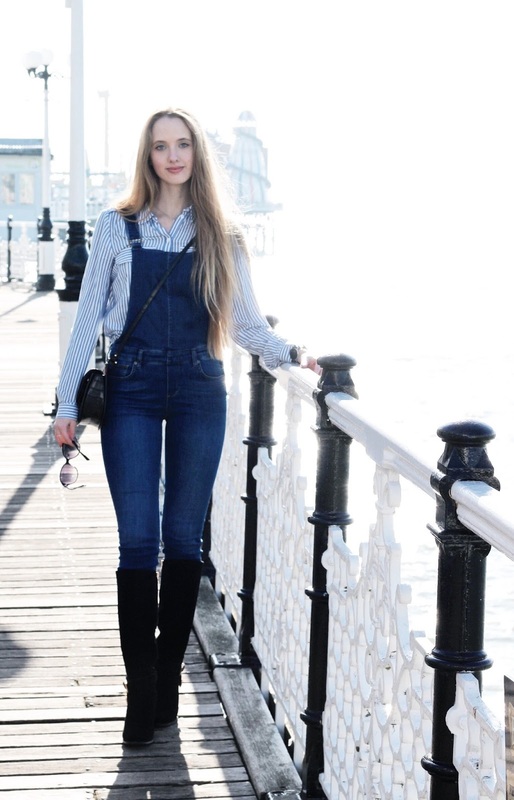 I adore dungarees in any form although for some reason always find them difficult to style! I know you wouldn't have chosen the boots albeit for the weather, I actually really enjoy the combination! I have never seen dungarees look so stylish Gabrielle. They look amazing on you! What a stylish way to wear overalls Gabrielle! The way you styled them is just perfect! You look amazing, I have a dungaree dress but not actual dungarees. I'm in love with dungarees ! I love the way you styled it with a striped shirt, blue and white my favorite.! You pull off dungarees so well! I'm yet to find a pair that actually suits me! Paired with over the knee boots is such a perfect look and a great way to dress them up a bit! I totally agree, dungarees are really quite versatile. The knee boots and the perfect finish to this look. I'm into Dungarees now. Love this one. I love the dungarees or what we call in the U.S., overalls. I actually really like you way you've styled them with tall boots. You have such a beautifully slender figure that the look really works well on you. 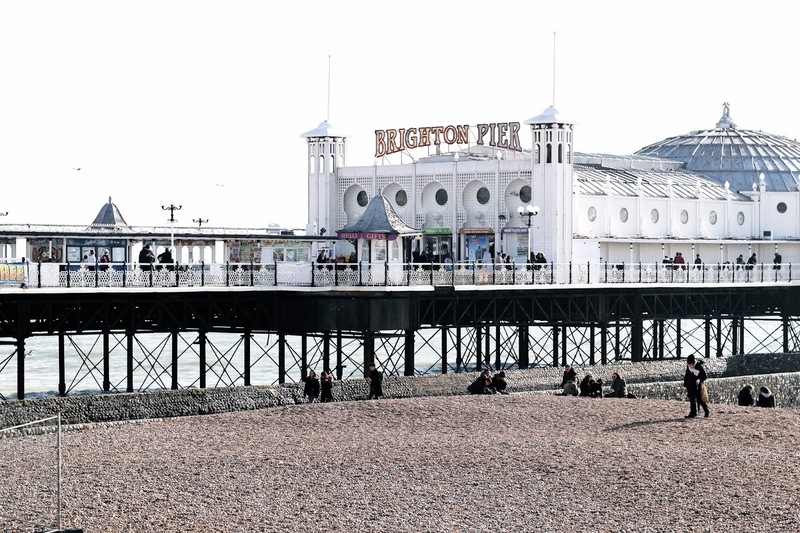 Your photos of the pier are also gorgeous, by the way. These overalls fit you like a glove! What a fabulous look! They looked really good with your boots Gabrielle. Love the criss cross in the back.